I remember a few years ago when the battery of my mobile phone did not have lasted much to worry about if they come alive at the end of the day. In this not too long ago, my old Nokia N900 could take almost a week without charging the battery, maybe one of the few good things to keep the terminals of the Finns? Anyway, today my smartphone , an Xperia Mini, charge your batteries look like almost every day. When you can be near an outlet or a computer with a USB port which can charge what you may not worry too much, but if these were for many hours is easy when you get back an hour the battery is in a very low percentage . This is something that happens to me very often, so that sometimes I have to load them from the car while I am driving. However, I’ve optimized a lot of battery consumption, and then shows you five points to save the battery of our smartphone. The main reason for the smartphones have a power consumption so important is because they have some screens are getting larger, higher resolution and higher brightness, which directly affects the battery life. In the configuration of the device will have several options for the screen, including the ability to adjust the brightness of this. A higher brightness have a greater battery consumption, so we can lower the brightness to a minimum to help us to continue using it without problems and save some battery power. Also common is the option to adjust brightness automatically, this means that depending on the light outside the device setting only the brightness of the screen for easier viewing of the screen. Disabling this option will also allow us to save some energy. We continue talking about the screen. Another option we have in our beloved smartphone is the time it takes to turn off the screen when we are not using. Typically, this option is called self-locking or time out of the screen. In the case of the iPhone is the minimum time of one minute, choosing up to five or even not automatically lock ever. While with Android , the range is much wider, with a minimum of fifteen seconds to a maximum of 30 minutes. The best we can do is choose the shortest possible time so the screen turns off as quickly as possible, although the ideal is that when we stop using our phone for a while it blocks manually . It may not seem relevant, but if we use it quickly and we let the screen lock is a very important time, calculated: made ​​25 visits during the day and leave all that waiting time is running out for the screen off, in the case of a device with IOS would be 25 minutes in the best case, while the Android would be just over six minutes. But if you manually lock it, just be a few seconds and the savings will be significant. 3G, WiFi, Bluetooth. they are all services that allow us to maximize the use of our phone, but become a real drain on the battery when not going to be using. So, when not going to use it is best to unset. When it? In my case I have almost always turned off the bluetooth, except when I have to synchronize with the car handsfree. If it’s a long trip or just not going to use the data connection, disabling the 3G will save too, just as if you disable the WiFi, which are not connected will search networks. For some time we have multitasking on our phones and while many of the most popular applications are not there other issues that are less optimized and make use of excessive consumption of battery. In my case I try to always have the lowest number of applications open, trying not to have more than four or five, indispensable. And if I’m not using the device at that moment, I close them all. Personally one of the features I value most of smartphones is that when you enter an email notification arrives almost instantaneously. To send us these messages is almost constant communication with the mail server, so there we have an additional energy consumption we can control. Basically what we will do is disable the automatic query notifications or emails, change it to manual and the system will check if we have mail on request only when we require. 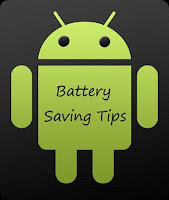 Here are five little tips that can serve to prolong the battery in your device, even a few minutes, enough not to see ourselves in the situation we see that we ran out of battery. 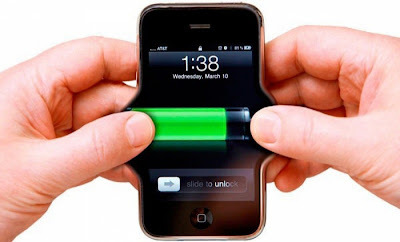 As such, there are other techniques, but the problem of battery life is something we have to go until you’re struggling to have a better technology in which the duration is not a problem. Do you use some other trick to save battery power? Sure there are many more and you do use any of them, which you use tell me in comments!